Well not exactly. After a decade of hammering away in rehearsal rooms and local stages their dream to become rockstars took a surprising twist. Almost by accident they discovered the groovy rhythms of US House Music, influenced by Roger Sanchez, Masters At Work & David Morales the boys started experimenting with loops and disco samples. Their very first US style house tracks saw the light. Armed with those tracks, the boys approached Belgian record company Headroom Music who saw the potential and took them under their wings. After a few releases under several monikers, they decided to go with ‘Filterheadz’, with the idea of releasing some more ‘Filter Disco’ records…things turned out slightly different. Two things happened almost simultaneously. First there was their remix of Minimalistix 'Struggle for Pleasure' that turned out to be an instant classic in the progressive house scene. Prolific labels like Hooj Choons, Platipus, Bedrock, Yoshitoshi and Renaissance stood in line to call upon their remix skills. The second, and most important thing: They discovered Techno. 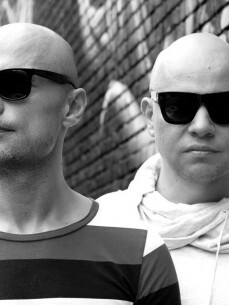 Together with Belgian DJ Tomaz they embarked on a Techno Journey that would eventually lead them to Carl Cox’ Intec where they released their all time classic “Sunshine”. Two years later they would take their signature sound even further and release “Yimanya”, another big hit. In the mean time extensive tours took Filterheadz to every corner of the globe and placed them high on the bill of events like I love Techno, Dance Valley & Tomorrowland and headlining clubs like Zouk, Womb, Ministry of Sound, Fabrik (Madrid) and so on. Their remix engine kept running full steam: Green Velvet ‘La La Land’, Eddie Amador ‘House Music’, Delirium ‘Silence’, Faithless ‘I want more’ and Eric Prydz ‘Call on me’ just to name a few. Further releases like Cartagena & Endless Summer showcased their unique blend of techno beats and melodies. Looking back at their history and inspired by their heroes Marco Bailey & Carl Cox they decided it was time for a change. The Phoenix rises from the ashes. 2012 not only marks the 10th anniversary of Sunshine and a release of a smashing remix package on 1605. It also marks the return to techno. With a string of new releases on MB Elektronics, Intec, 1605, Respekt & Toolroom.